Both teams have seen national rankings early in the season. As of September 30, the women are still ranked 30th, and the men are just outside of the Top 30. They are set to compete in the Penn State National this weekend. Currently 10-2, the field hockey team is ranked 9th in the nation and has beaten many ranked opponents. After two shutouts over the weekend, they have the week off to prepare for conference foe, Maryland. The football team is off to a solid start, with a 4-1 record going into the Michigan game this weekend. In Coach Franklin’s first season, the team has been able to win some close games – and Beaver Stadium has been full of support on Saturdays. The team is currently ranked 4th in the nation, with a 10-0-1 overall record and a 4-0 record in the Big Ten. This is the best start in school history, with the Nittany Lions outscoring opponents 21-3 and recording 9 shutouts. 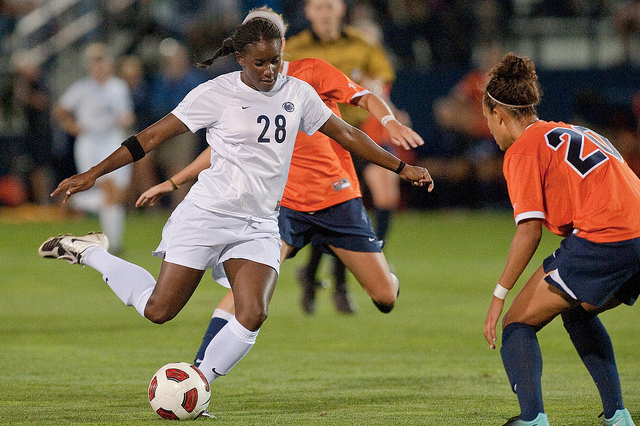 Undefeated in the Big Ten, the soccer team is 12-1 overall and currently ranked 7th in the nation. With their only loss to North Carolina in double overtime, the Lions are looking to remain undefeated in the Big Ten with 6 conference games remaining. A perennial powerhouse, the volleyball team is currently ranked third in the nation and boasts an overall record of 15-2. Losing only to Stanford and No. 8 Nebraska, the Lions have over half the season left to play on the way to defending their national title. 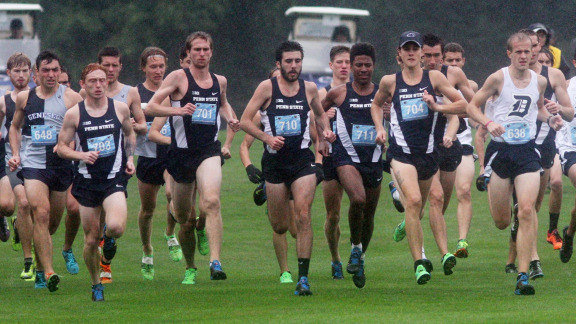 With so many national rankings and outstanding individual performances, Penn State’s fall sports are off to a stellar start. They make it easy to be a fan in Happy Valley – go Lions! This entry was posted in Student Life and tagged athletics, Big Ten, sports, uaoblogs. Bookmark the permalink.